Music for a while will play a concert at Hardanger Musikkfest on thursday May 20th in the beautiful Ullensvang Church at 21.00. The musicians will participate in more than 14 concerts in 5 days. HARDANGER MUSIKKFEST is a classical chambermusic festival situated in one of the most beautiful corners of Norway; in the scenic Hardangerfjord. Based in Lofthus in Ullensvang. http://www.hardangermusikkfest.no/ Tora Augestad and Therese Birkeland Ulvo are the new artistic directors of the festival from August 2014. http://www.scenicfestivals.com/en/hardanger The Hardanger Music Festival features top level artists in a unique setting. The performances take place at different scenic locations along the fjord. The programme presents a wide artistic variety with particular emphasis on classical chamber music, and Norwegian folk music. 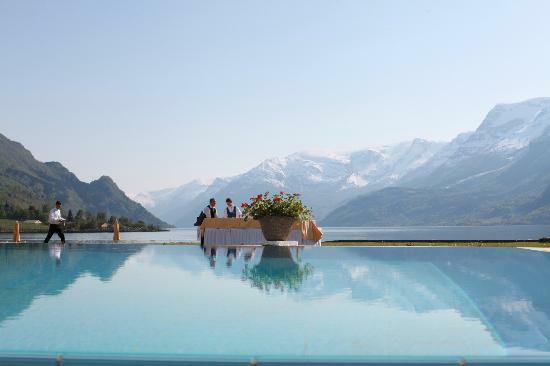 The scenery and the cultural history of Hardanger form the backdrop of the Hardanger Music Festival, taking place just when the blooming of the fruit trees is at its peak in May.